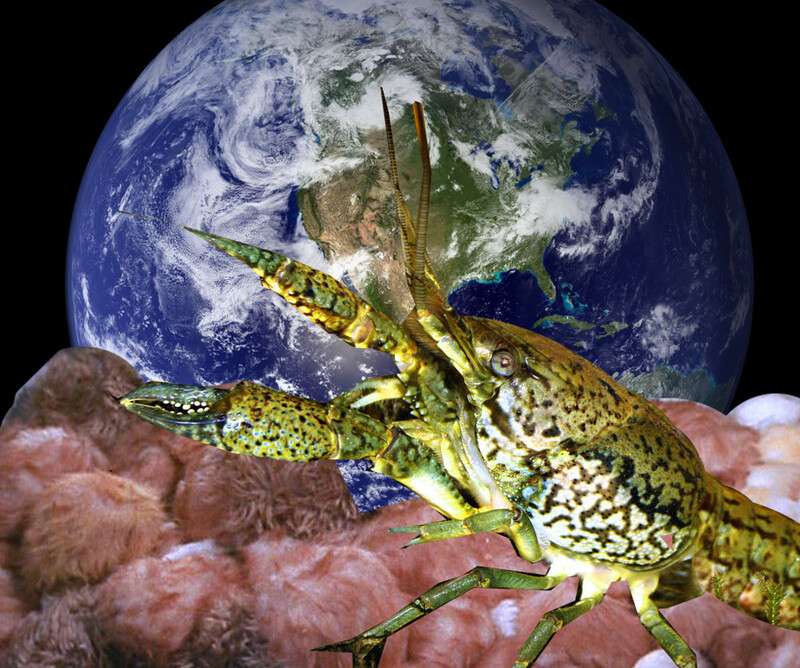 The marbled crayfish (Procambarus virginalis) is a mutant slough crayfish (Procambarus fallax) an American species; the mutation that allowed slough crayfish to reproduce asexually by cloning itself occurred a mere 25 years ago, and it came to Germany as an aquarium pet in 1995, sold as "Texas crayfish." The marbled crayfish is incredibly prolific, laying hundreds of fertilized eggs at a time, each one containing a clone of itself. As aquarium owners ran out of space for their baby clones, they dumped them in lakes, where they thrived and multiplied like invertebrate tribbles. Now they are taking over freshwater lakes and streams in Czech Republic, Hungary, Croatia and Ukraine, as well as Japan and Madagascar. Geneticists and biologists are excited at the opportunity to study a newly speciated organism for insights into evolution; they also reassure us that cloning is only a good short term strategy for reproduction, and in 100,000 years or so, Mother Nature will rid us of the clones by producing a pathogen that they're all vulnerable to. No word on how they taste -- someone really needs to create an invasive species "guilt-free" cookbook with recipes for Caribbean lionfish, American kudzu, English Japanese knotweed, Australian rabbits and European marbled crayfish.